Of the questions I am asked often, how to follow the ketogenic diet without a gallbladder is one of the most popular. Since the gallbladder is known for secreting bile so we can digest fats properly, many people are concerned that you cannot follow a high-fat diet (like keto) without a gallbladder. However, this is not true. You may need to make some adjustments to your keto diet and take some digestive health supplements at first, but you can still get all of the benefits of keto after you have your gallbladder removed. In this article, we will take a deeper look at what happens to your digestion after gallbladder removal and exactly what you need to do to follow the keto diet and get the results you want. The gallbladder is a thin-walled sac usually that is usually found between the lobes of your liver. It is essentially a bladder (storage organ) for your gall (bile). 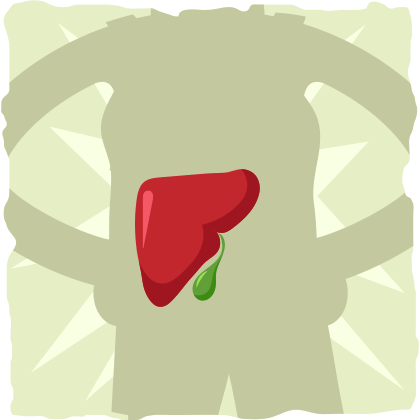 Throughout the day, your liver will produce 400 to 800 ml of bile, which will travel down the bile ducts. If you are fasting, most of the bile your liver produces will be directed to the gallbladder where the bile is concentrated five-fold. Once you consume a meal with fat in it and it enters your small intestine, hormones are secreted that trigger the gallbladder to release bile into the small intestine and tell the liver to increase bile production. Emulsifying dietary fats in a way that allows for their absorption. Eliminating excess cholesterol, potentially harmful substances, and other heavy particles that cannot be filtered through the kidneys. Protecting us from intestinal infections. Improving blood sugar control indirectly. Delivering many hormones and pheromones that contribute to the growth and development of the intestine. After the bile makes it to the end of the small intestine, approximately 95% of it is absorbed back into the blood and recycled in the liver so that we can reuse it to digest the next meal. Now that we have a basic understanding of gallbladder and bile physiology, a clear evolutionary purpose emerges. Although it is typically viewed as a simple storage organ, the gallbladder plays a crucial role in the making the bile more concentrated, which in turn makes the bile much more effective at the many things that this versatile substance does for us. Unfortunately, the gallbladder isn’t always the most efficient organ — especially in the presence of a high carb and high-calorie diet — and this can lead to some serious issues. Why Did They Remove My Gallbladder? Occasionally, the bile will thicken up too much and gallstones and/or blockages along the pathway where it typically empties. However, these symptoms may clear up on their own or after the patient adopts a healthier diet and lifestyle. Biliary dyskinesia. This occurs when the gallbladder doesn’t empty bile correctly due to a defect in its contractions. This happens when gallstones have moved to the common bile duct where they may be stuck, causing a blockage that doesn’t allow the gallbladder to drain properly. When you don’t have a gallbladder, the bile that is made by the liver can no longer be stored between meals. Instead, the bile will flow directly into the intestine anytime it is produced. Thus, there still is bile in the intestine to mix with food and aid in fat digestion. There will not be as much bile as before, and it will not be as concentrated, but there is enough to allow the digestion of fat. However, this doesn’t mean that your body will immediately adapt to digesting food without a gallbladder. In fact, around 50% of patients will have digestive symptoms after surgery. The most common side effect is diarrhea and loose stools. This will happen because of the more continuous release of bile into their intestines, which seems to control the speed at which food flows through the intestine. Also, if you have a high-fat meal during the first few weeks to a month after surgery, some of the fat may go partially digested which can cause fatty diarrhea. With that being said, normal digestion is possible without a gallbladder once the body is able to make the necessary adaptations. Bile will continue to reach your small intestine, but it just won’t be stored along the way in the gallbladder. In other words, it is possible to follow your original diet after gallbladder surgery. However, you may have to make adjustments before your body can adapt to fat digestion. Gallbladder Removal Diet — How Should You Eat When You Don’t Have A Gallbladder? In general, most sources suggest avoiding very high-fat and low-fiber meals after surgery. If you ingest a lot of fat with a small amount of fiber in one sitting, then you are much more likely to experience diarrhea or indigestion. For the first few days, stick with clear liquids and easy to digest foods. After that, gradually add more solid foods back into your diet. Eat smaller meals on a more frequent basis until your body adapts to higher fat meals. Make sure you have foods that are high in soluble fiber like low carb vegetables or keto bread with your meals. Take an ox bile supplement with your meals if you are struggling to digest higher fat meals. One of the best ways to improve your cholesterol, triglyceride, and blood sugar levels is by following a keto diet. And despite the fact that it’s a high-fat diet, you can still follow it if you have no gallbladder (or if you struggle with gallbladder issues). To adapt to the keto diet after gallbladder removal surgery, it is best to follow the suggestions from the previous section at first. Having smaller and more frequent meals, slowly introducing keto foods back into your diet, and consuming soluble fiber from a supplement, low carb vegetables, and/or keto bread will be essential strategies for your success. Follow a moderate fat diet for the first couple of weeks after surgery and slowly increase your fat intake until you are following the keto diet by the end of the month. Supplement with an ox bile supplement to assist your body with fat digestion. Take MCTs (i.e., caproic acid, caprylic acid, capric acid, and lauric acids) to supplement your fat intake. These fatty acids are much easier to digest, boost ketone levels, and don’t require bile for proper absorption. Consume ginger or ginger tea with your meals to help improve fat digestion. Make sure you are hydrated and consuming plenty of potassium, sodium, and magnesium (check out this article for specific recommendations). Once your body adjusts to digesting fat without a gallbladder, you will most likely be able to follow the keto diet without any issues. For most people, this will take about a month. If issues ever come up in the future, you may have to decrease the fat content of your meals, eat smaller and more frequent meals, and/or assist your body by taking an ox bile supplement. On the other hand, is there anything we can do to keep our gallbladders? For those of you who still have your gallbladder, you may be able to prevent the need for surgery altogether. By changing your diet and lifestyle, for example, you may be able to prevent gallbladder disease and keep future gallstones from forming. What is the most well-known contributor to obesity? Excess calorie consumption. This means that it is possible to improve and protect your gallbladder’s health by restricting your calories and losing weight. One of the most effective ways to do this is by following a ketogenic diet. By eating keto foods and cutting out the carbs and sugar, most people spontaneously reduce their calorie intake and start losing weight without having to battle against persistent cravings and hunger pangs. This can help reduce your risk of having gallbladder issues and potentially save you from having to undergo gallbladder removal surgery in the future. If you’d like to learn more about how to lose weight by using the keto diet, check out our most recent article on weight loss. The gallbladder is an essential part of our digestive system and metabolic health. Although it isn’t part of the gastrointestinal tract, it does secrete highly concentrated bile that allows us to digest the fat we eat. Fortunately for those who have had their gallbladder removed, our bodies can still digest food without the help of our gallbladder. In fact, most people will be able to follow their normal diet within a month after surgery. If you want to follow the ketogenic diet after your gallbladder is removed, then simply follow these recommendations. Follow a moderate fat diet and slowly increase your fat intake until you are following the keto diet by the end of the month. Take MCTs (i.e., caproic acid, caprylic acid, capric acid, and lauric acids) to supplement your fat intake. On the other hand, if you’d like to keep your gallbladder health, then adopting a healthy diet and lifestyle should be your go-to strategy. From a dietary perspective, the ketogenic diet is a healthy and highly effective way to lose weight, which means that it may be able to help prevent gallbladder disease and gallbladder removal surgery. Whether you still have your gallbladder or had it taken out, you may find that the ketogenic diet is exactly what you need to achieve your health and weight loss goals. If you’d like to get started as soon as possible, I recommend reading through our comprehensive beginner’s guide to the ketogenic diet. 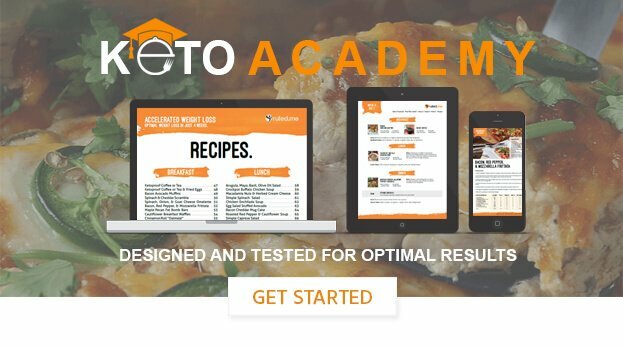 Or if you’d like to have exclusive access to meal plans, shopping lists, and expert guidance, consider signing up for our Keto Academy.